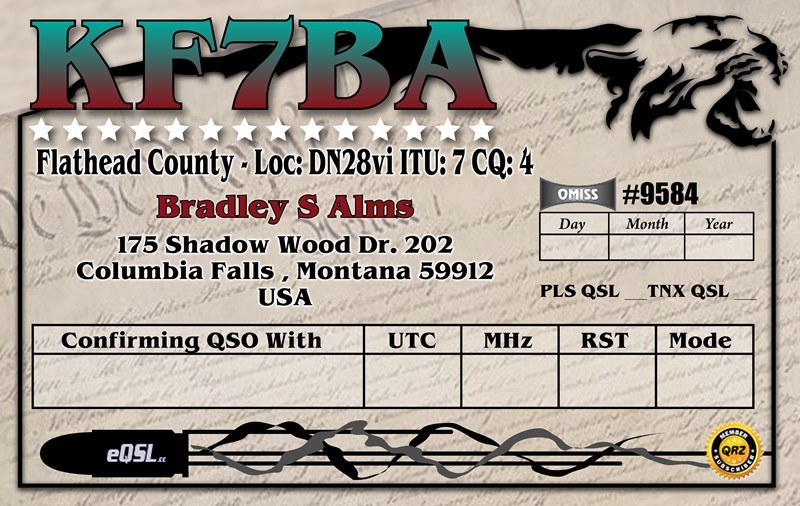 Those of you with contacts with me from Montana will still get this card, news on are in the process for my new QTH in Colorado. Nice looking card!.. Who prints them for you? KF7BA | Powered by Mantra & WordPress.